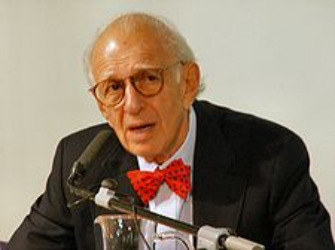 Eric Kandel shared the prize with fellow recipients Arvid Carlsson and Paul Greengard. Kandel is professor of biochemistry and biophysics at the Columbia University College of Physicians and Surgeons and a Senior Investigator in the Howard Hughes Medical Institute. He was also the founding director of the Center for Neurobiology and Behavior, which is now the Department of Neuroscience at Columbia. Kandel has recently authored In Search of Memory: The Emergence of a New Science of Mind (WW Norton), which chronicles his life and research. The book was awarded the 2006 Los Angeles Times Book Award for Science and Technology. History and Literature was his undergraduate major at Harvard University and he attained his medical degree from NYU.